A big thank you to all visitors to our booth and for all the interesting talks! This year's leading trade fair for digital education impressively demonstrated the rapid progress in the fields of mobile learning and virtual reality. With the slogans "Feel the Adventure" and "360°/VR", we put the immersion in interactive learning worlds using 3D glasses into the focus as well. Do you also want to see our demo applications, such as "Work on an offshore platform" or "Pre-departure checks for the company car" live? We would be glad to make a date with you. The home-textiles portal welcomes the year 2019 with an all-new design! The Heimtextil in Frankfurt, from January 8th to 11th , has been the trade's central international event for decades. Of course we will also be there, this year for the first time in hall 8, stand D22. Nothing can replace the personal sales talk or feeling the materials – still, todays customers look for offers on the Web. We offer suitable software solutions for different areas and requirements. "Tour of exploration through the realm of digital learning"
With our 4th ANOVA meeting point, we offer you the opportunity of trying different application scenarios of e-learning. Experience Virtual Reality, 360-degree videos, QR codes or apps and perform your personal digi-check! Start an exchange of experiences with executives of other companies! Participation is free of charge! We do ask for timely registration, however. 27th Wind Energy Days "The show continues"
We thank all guests for their visit at our booth and the active participation in workshops. Our main focus was on the topic "Qualification with digital media in the wind energy industry". 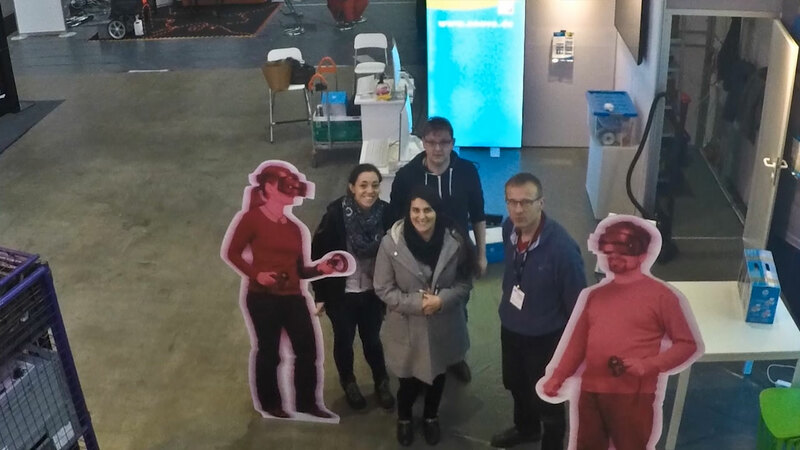 A special topic at our booth and in one workshop was the use of immersive technologies (VR or 360°). For further talks, please feel free to contact us. The development of modern and effective learning systems requires a true partnership between service provider and customer. Using the example of a project on the qualification of offshore employees, the article takes a close look at the collaboration between ANOVA and the user Deutsche WindGuard Offshore. The article will be published soon in the eLearning Journal. We welcome Mr. Tarik Al Mashni in our team. Trained as IT specialist for application development, he supports us in the area of software development. He is also available as a contact for our customers at the help desk. On June 1st, Ms. Melike Ghide has started work in our Stuttgart office. She will be supporting us as sales manager in the area of Baden-Württemberg and is available on site as personal contact for consulting around the topic of e-learning for all customers and interested parties. We welcome Ms. Ghide to our team and look forward to working with our new colleague! 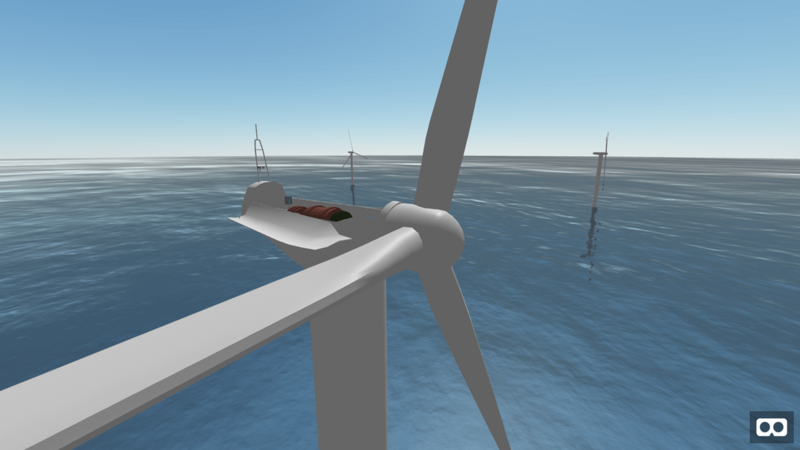 The partners ANOVA and DESIOS have used the June 2018 round table of the WindEnergy Network in Rostock to initiate talks with the network partners about the possible applications of Virtual and Augmented Reality. A mutually created demonstrator enabled the professional audience to experience these technologies first-hand. The knowledge of the layout within the facility is important, for example, for upgrades to the facility's components. The response has been great and the testers of the VR demonstrator where quite impressed. "This is a great support for giving a real impression of these facilities for the engineers", the users opined. "This could spare the laborious travel to an offshore wind park." The round table is the kick-off for a road show that ANOVA will undertake in the second half of the year to engage further companies in talks. "Trust is not a one way street ..."
On May 29th, 2018 Mister Benedikt von der Decken, managing partner of CREDITREFORM M-V, presented ANOVA with the credit standing certificate CrefoZert. The document certifies that we belong to the small group of 1.7 percent of German companies that fulfill its hard criteria regarding balance of accounts, management and business development forecast. Our customers and service providers demonstrate their confidence in the quality of our work, the reliability of fulfilling our promises and the punctuality of our deliveries and payments every day. We, the ANOVA team, stand for transparency, trustful cooperation and reliability. The countdown for the EU GDPR is on. Are you prepared? Beginning May 25th, 2018, the European General Data Protection Regulation (EU GDPR) will be mandatory for all companies in Europe as well as companies catering for customers in the EU or offering services there. Our learning program for the basic training enumerates the essential updates and changes compared to the German Bundesdatenschutzgesetz. Interactive exercises add variation to the learning experience. The program is usable on desktop PC, tablet and smartphone. With a certification test you can document your employees’ theoretical education. We are happy about receiving the eLearning Award 2018 in the category "knowledge management". The award ceremony was held February 20th , at the didacta in Hannover. Our app, the "Seafarer's Companion", developed for the BG Verkehr in cooperation with the Institut für Schiffssicherheit, is available for Android and iOS devices. It offers a language switch, searching for keywords through all topics but also features for depositing photos and notes. This way, a ship's crew can access and directly apply information as needed, independently of time and place. Learning need motivation! Through the individual usability of mobile devices and adapting the passing of knowledge to different work environments, our digitally prepared learning contents are true-to-life and practice-relevant.